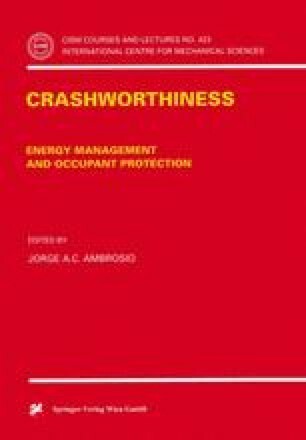 The fundamentals of occupant protection involve vehicle crash worthiness where are strong occupant compartment resists intrusion and crushable front and rear structures deform and absorb energy in a crash. This combination provides a controlled vehicle deceleration and survival space in the occupant compartment. The use of lap-shoulder belts and airbags provides ride-down of the vehicle crush, containment on the seat, and load distributing forces on the pelvis, should and upper body to decelerate the occupant. This has proven an effective means of restraining the occupant and reducing the risk of serious injury and death in a crash. Lap-shoulder belts are 42% effective in preventing death. This includes the highest effectiveness of 77% in rollovers and lowest of 27% in near-side impacts. The addition of the frontal airbag raises the level to 47%. The addition of belt system enhancements for comfort and performance and introduction of side airbags and curtains for rollover protection further improve the safety in automotive crashes.